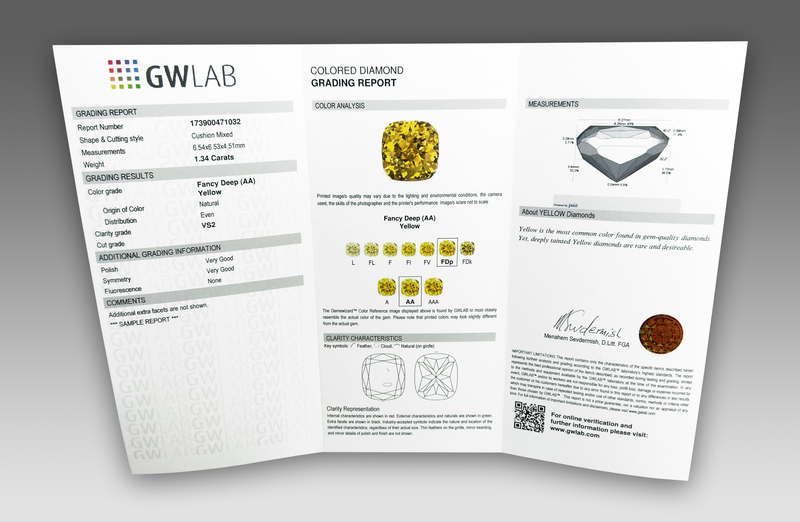 GWLAB Colored Diamond Grading Reports, issued by GWLAB laboratories worldwide, are a special product designed for diamonds displaying a unique appearance of rare hue and/or strong saturation. These gems are highly prized by the diamond industry and their reports are considered as an essential supplement among diamond dealers, jewelers and buyers alike. 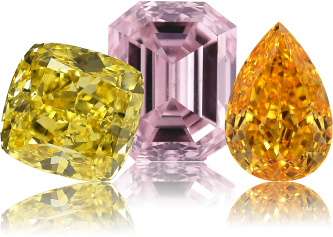 Each GWLAB Colored Diamond Grading Report contains the diamond’s information, as graded by the laboratory’s gemologists. The information includes the stone’s report number, shape and cutting style, measurements (in mm), weight (in metric carats), cut grade, proportions, color grade (according to the “Fancy” grade and its intensity), distribution of color, clarity grade, fluorescence, digital image(s) of the diamond, digital Gemewizard reference colors of the grade and a 3D dimensional model of the gem. GWLAB's Colored Diamond Grading Report includes a unique feature that is available only here - the Color Quality Grade, designated as A, AA and AAA, which offers a higher resolution sub-grade within the Fancy color grade. This classification can be used to emphasize diamonds within the high end of each Fancy color grade. In addition, all colored diamonds received by the GWLAB laboratory for grading and were identified to have undergone color and/or clarity enhancements are automatically labeled with a proper disclosure in their certificate. Thus our customers are always assured that all the necessary diamond’s information has been disclosed. 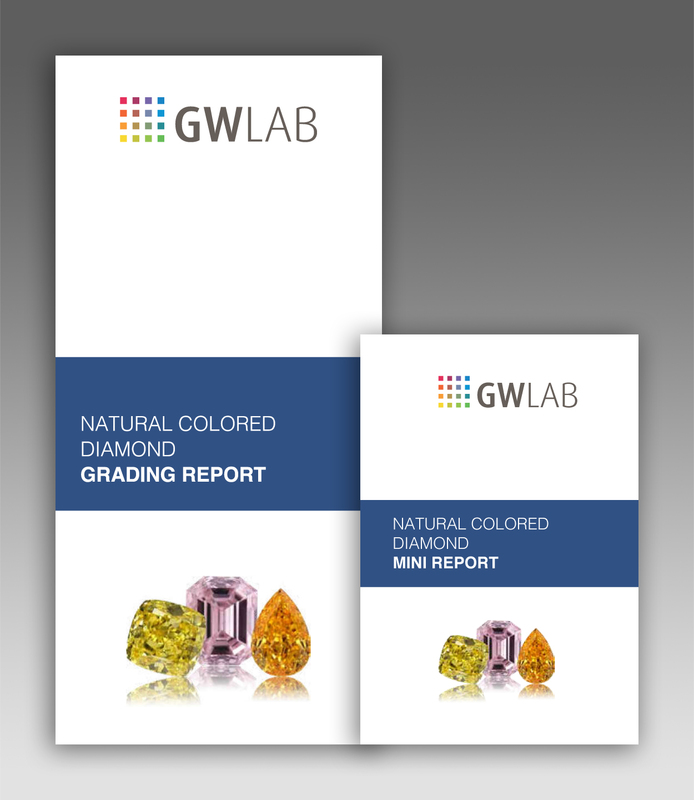 To learn more about ordering GWLAB Colored Diamond Grading Reports, please contact us.